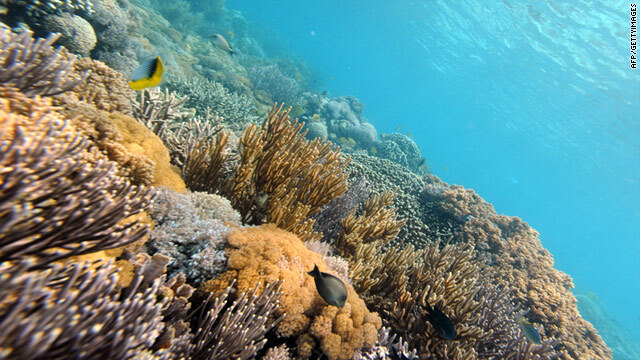 (CNN) — Human activity and climate change have left about 75% of the world’s coral reefs threatened, putting the livelihoods of many countries that depend on the ocean ecosystems at risk, according to a report released this week. Local threats such as overfishing, coastal development, and watershed- and marine-based pollution are responsible for the immediate and direct threat to more than 60% of the world’s reefs. Add to that thermal stress from rising ocean temperatures and the number of threatened reefs jumps to 75%, the World Resources Institute found in the report, titled “Reefs at Risk,” released Wednesday. The threat is the highest in Southeast Asia where nearly 95% of the region’s reefs are threatened, mainly due to overfishing and destructive fishing, according to the report. Australia, home to the world’s largest reef system, the Great Barrier Reef, had the lowest threat level at 14%. The numbers represent an alarming trend: a dramatic increase in the percentage of reefs rated as threatened. According to the report, the level has increased by 30% in 10 years, mainly due to a rise in overfishing and destructive fishing. The report attributes the rise to the growth in coastal populations in the Pacific and Indian Ocean regions. Similarly, climate change is playing an increasing role in the growing threat levels as the warming atmosphere causes ocean temperatures to rise. The 27 countries and territories identified as highly vulnerable to reef loss are spread across the world’s reef regions. Nineteen are small island states. Nine countries – Haiti, Grenada, the Philippines, Comoros, Vanuatu, Tanzania, Kiribati, Fiji, and Indonesia – are most vulnerable to the effects of coral reef degradation. The report points out that these countries have high ratings for exposure to reef threat and reef dependence, combined with low ratings for adaptive capacity. In order to help with recovery, “local threats must be tackled head-on with direct management interventions, while efforts to quickly and significantly reduce greenhouse gas emissions are of paramount concern not only for reefs but for nature and humanity as a whole,” the report says. The analysis shows that more than one-quarter of reefs are already within parks or reserves, more than any other type of marine habitat. Yet, only six percent of reefs are in protected areas that are effectively managed.